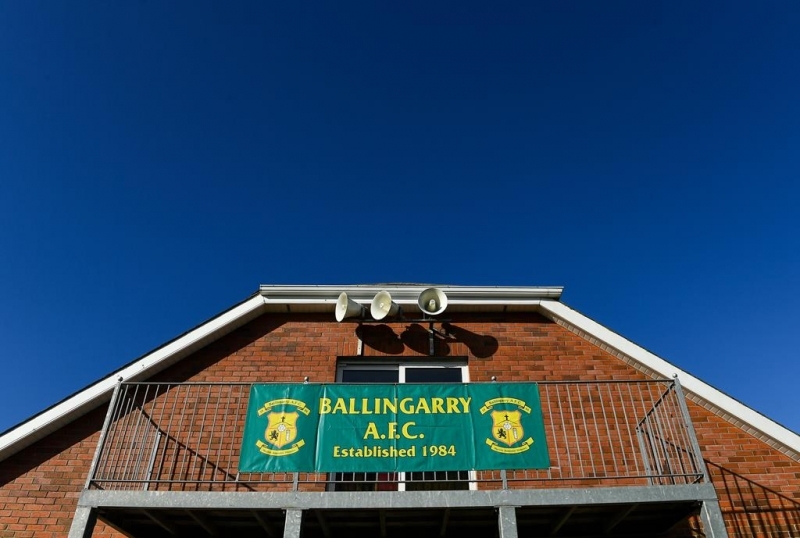 Ballingarry AFC receive FAI Club Mark Entry Level. 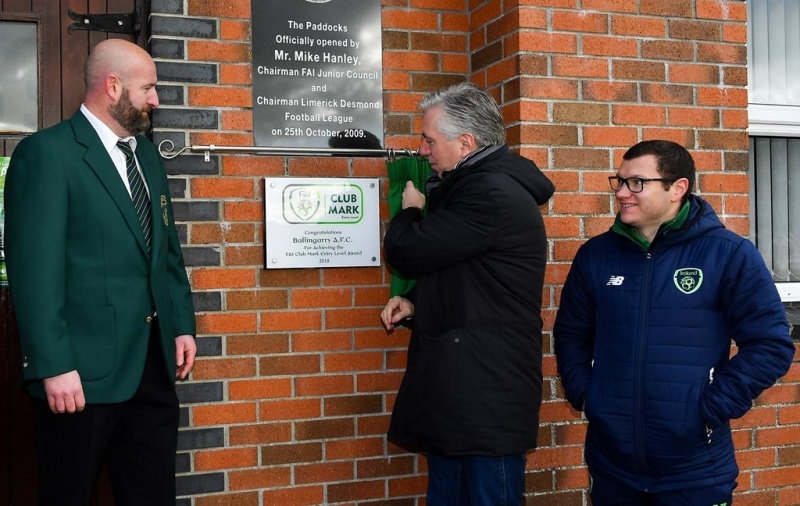 Another momentous day in the clubs history saw FAI CEO John Delaney visit the Paddocks to unveil a plaque to commemorate the club being awarded the FAI Club Mark entry level. 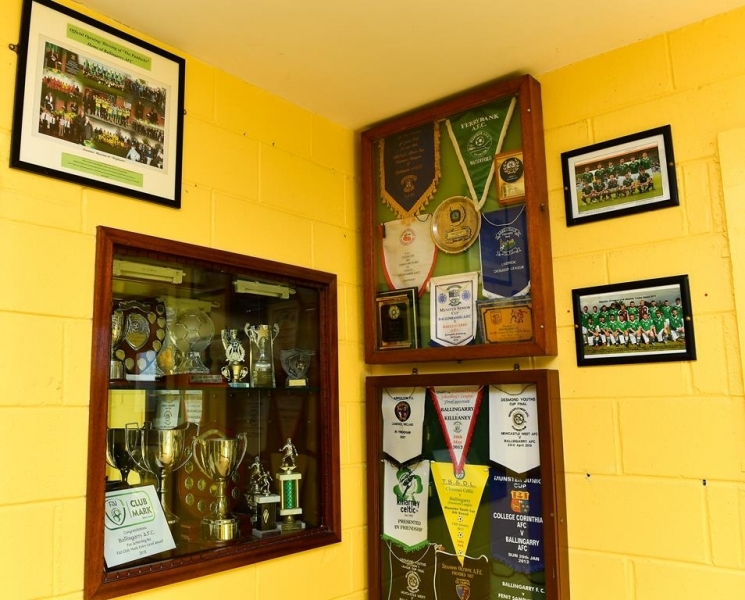 Community clubs are essential in the provision of football in Ireland. 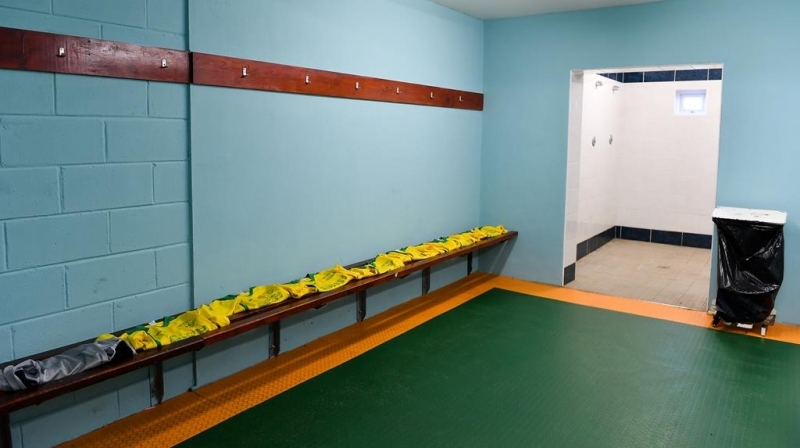 Football has grown into one of the most widely played and loved games in the country and this is due to the wonderful work undertaken by volunteers who play an invaluable role in recreational and competitive football at all levels. 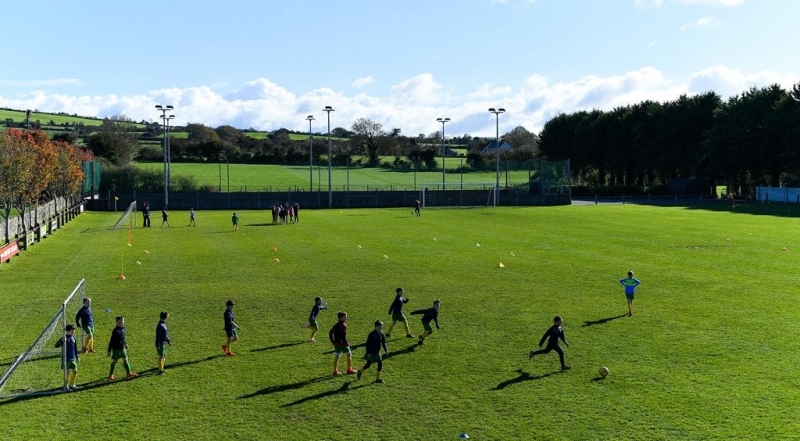 Well organized clubs with strong structures and volunteers are best placed to promote football and develop players. 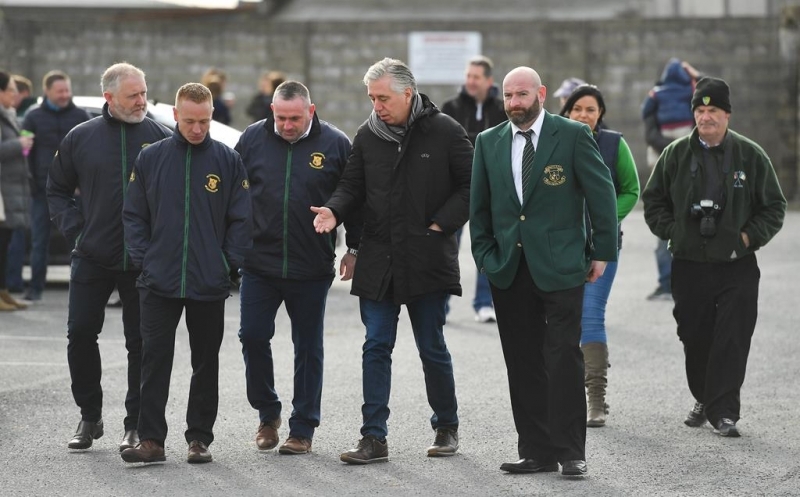 More than ever it is essential that every club is well organized in all areas of club management. 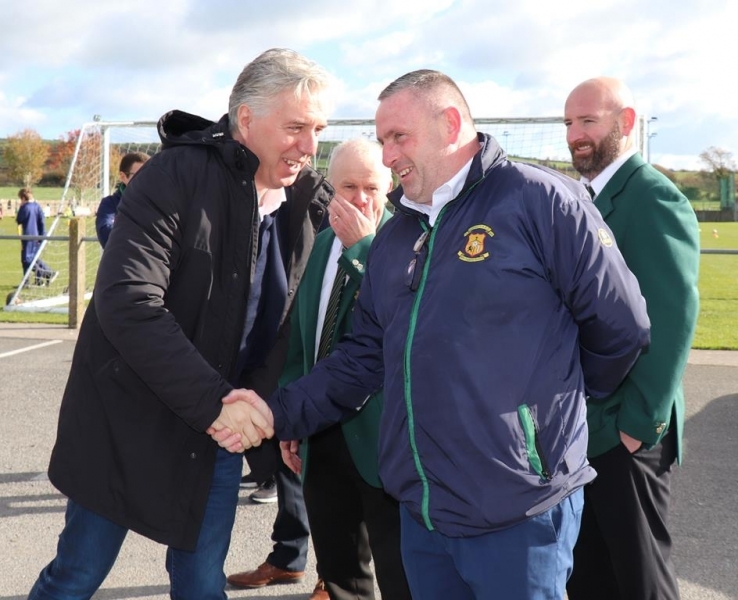 The FAI has a key role to play in facilitating club development by identifying and promoting best practice and providing the necessary guidance to empower clubs. 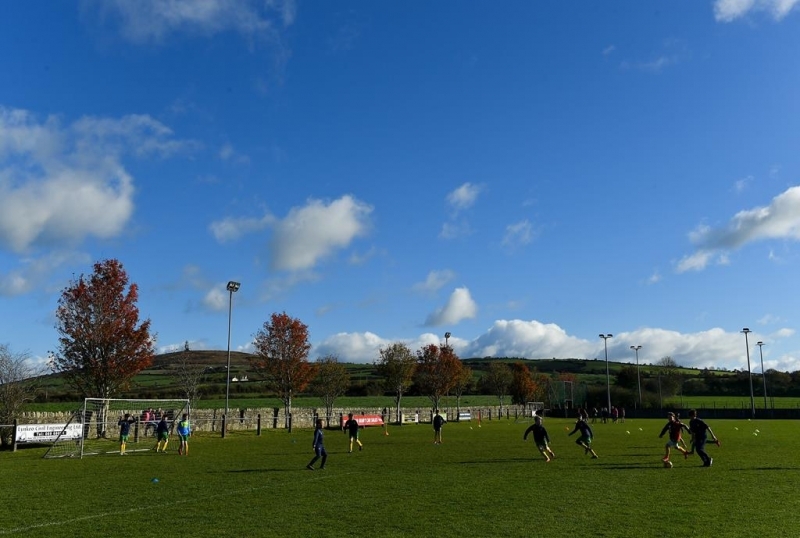 Clubs are the foundation of all football activity in this country. 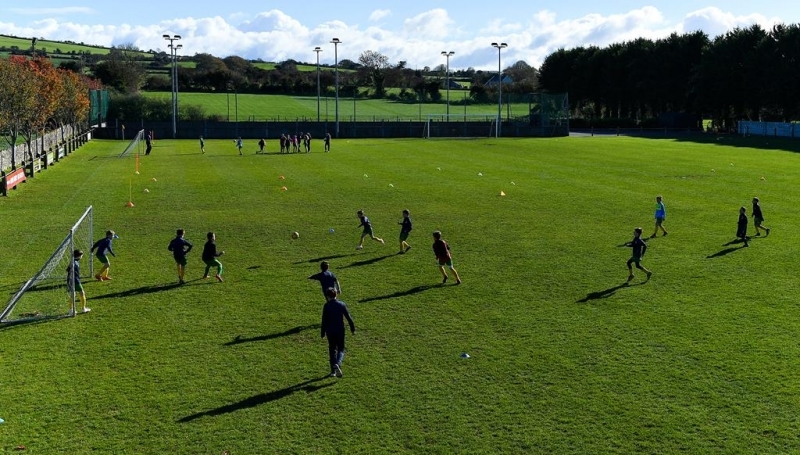 We must ensure this foundation is strong and secure to build on the success of the game. 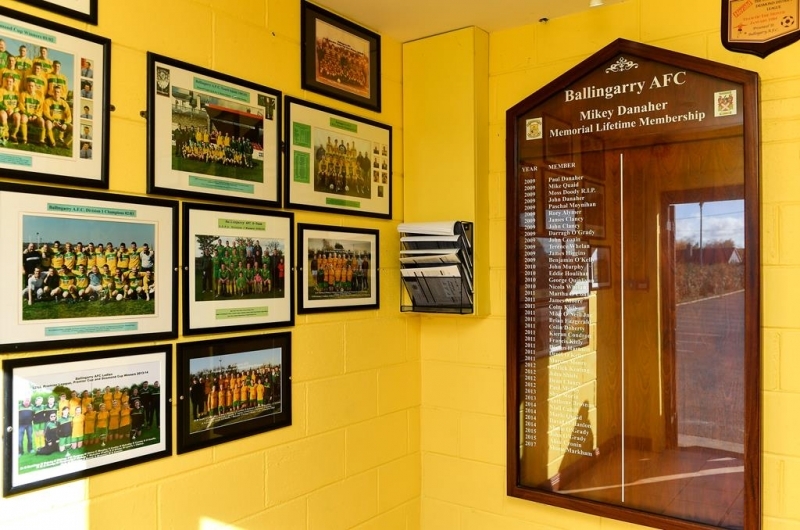 Ballingarry AFC have yet again shown that they set the standards for others to follow when it comes to all things grassroots football. 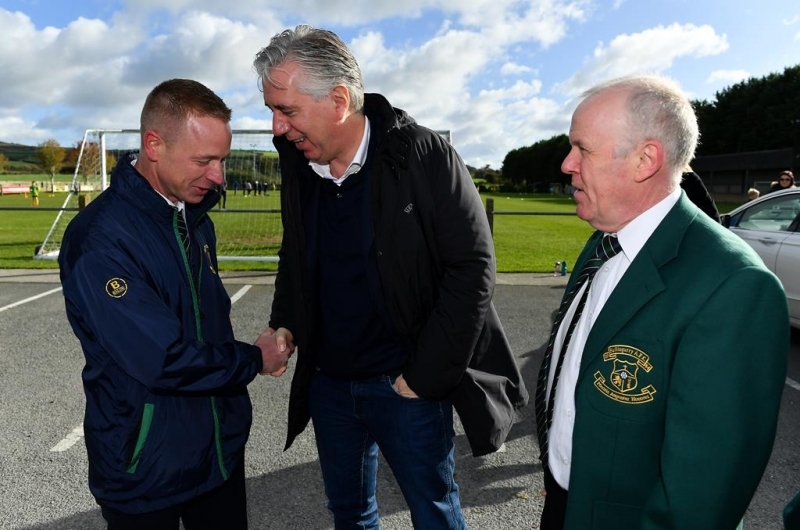 The FAI Club Mark is an award based on best practice in the governance, management and administration of a football club. 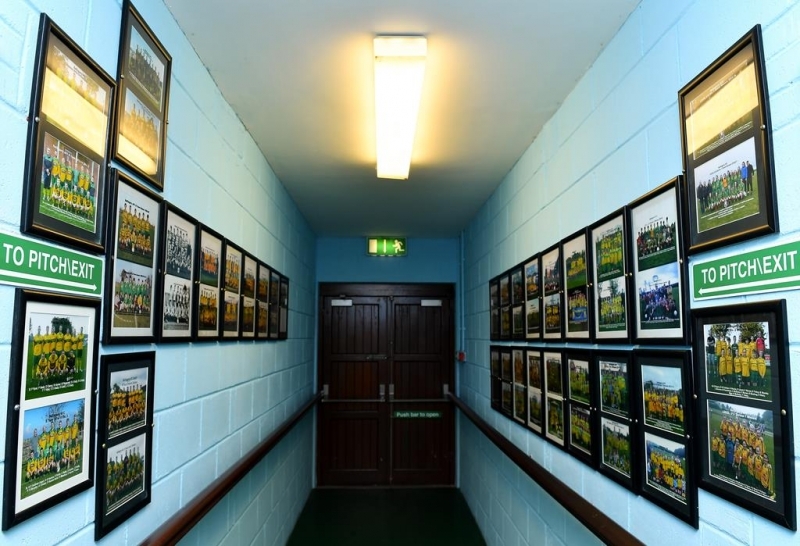 Clubs start their journey at Entry Level, and can progress on to become a 1 Star Club. 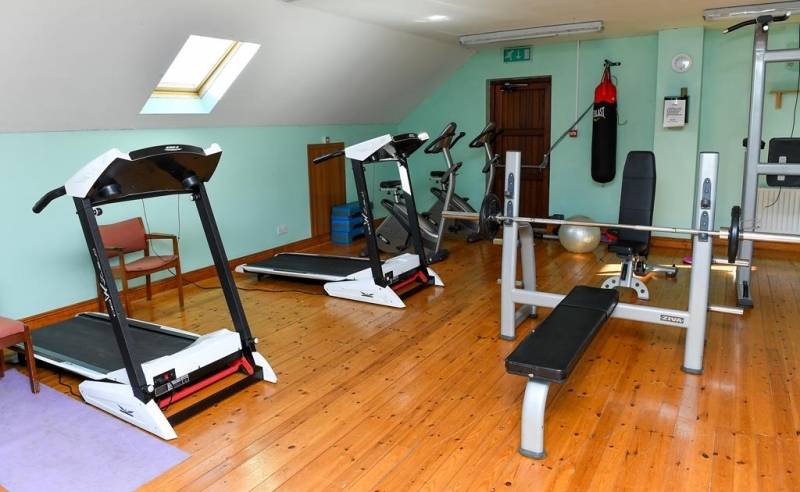 Each step challenges the club to implement policies and procedures in line with best practice. 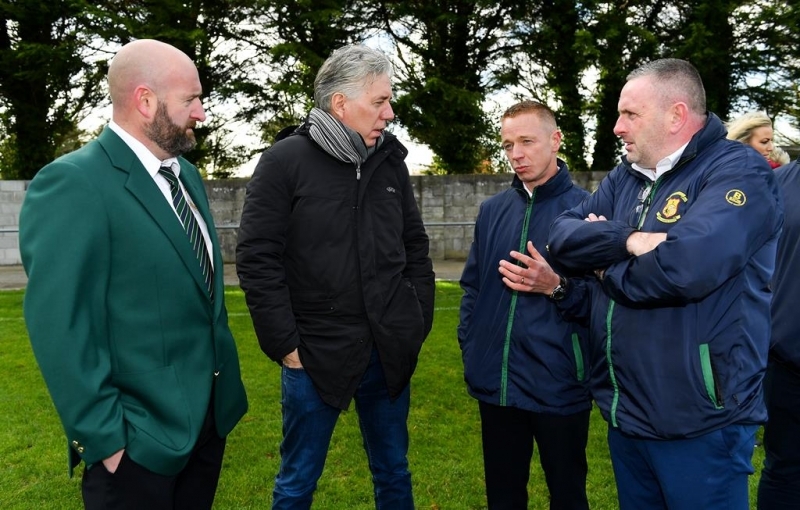 A tremendous amount of time and energy was dedicated to the project so as Ballingarry AFC could reach the standards required to be awarded the The FAI Club Mark, for this reason Shane Markham, Jason Quinn and Mickey McNamara must receive a tremendous amount of credit as it was these three club-men more than any other person that put in the hours to insure this award for the club. 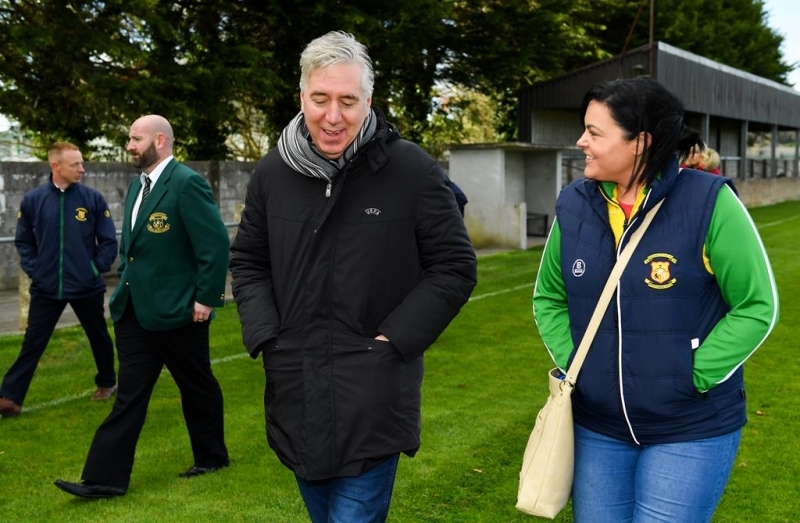 Before the ceremony Mr. Delaney went on a tour of the grounds while pausing to view a training session containing the clubs U10 boys and girl’s squads. 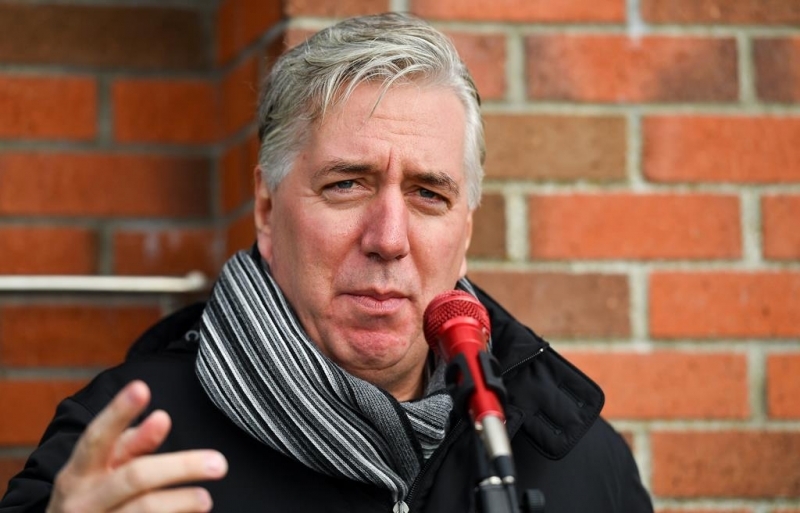 Ballingarry AFC Chairperson David O’Hanlon acted as MC for the occasion and introduced the first speaker John Clancy. 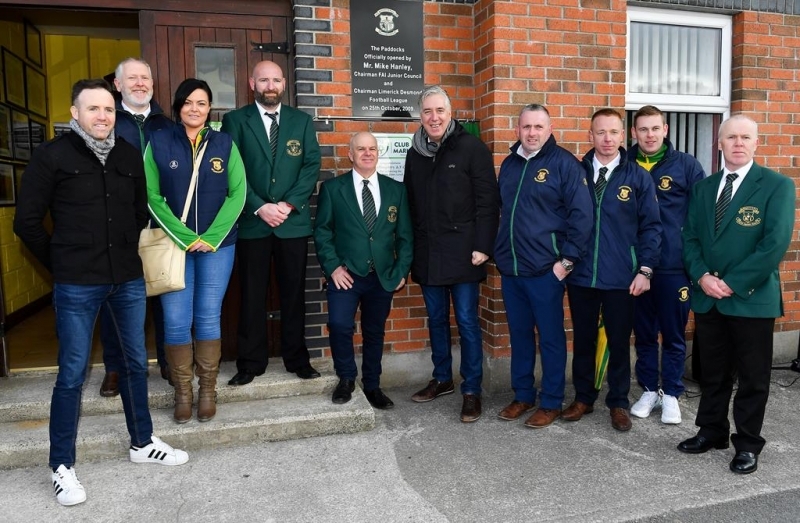 Vice-chairperson John Clancy got the ceremony underway by first introducing himself as club Vice- Chairperson and welcoming the large attendance including John Delaney CEO FAI, Joe Hogan Chairman LDFL, Joan Croke LDLL, Charlie Boyle LDS/GL and John Roche Referees representative. 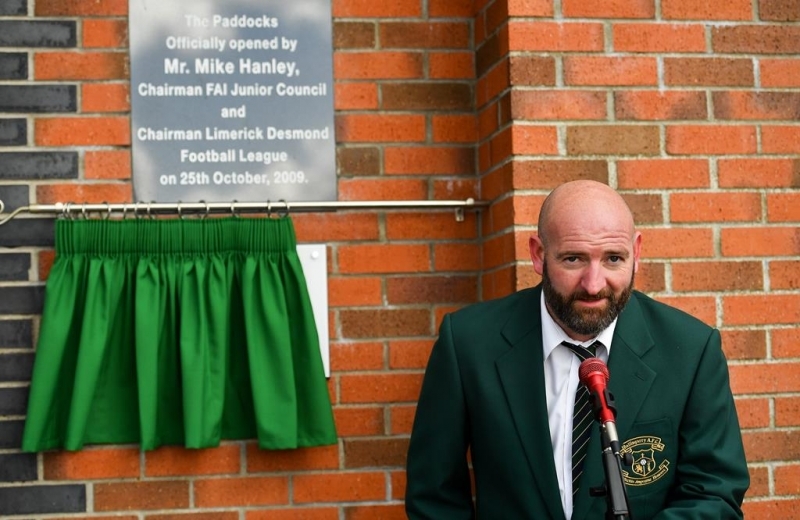 In his address John Clancy said that Ballingarry AFC had always strived to be pioneers in all things Limerick Desmond League, they were the first to own their own pitch, develop a clubhouse, provide an astro pitch training facility and provide a gymnasium so in that regard it was only expected that Ballingarry AFC would be the first in our league to achieve the FAI Club Mark. 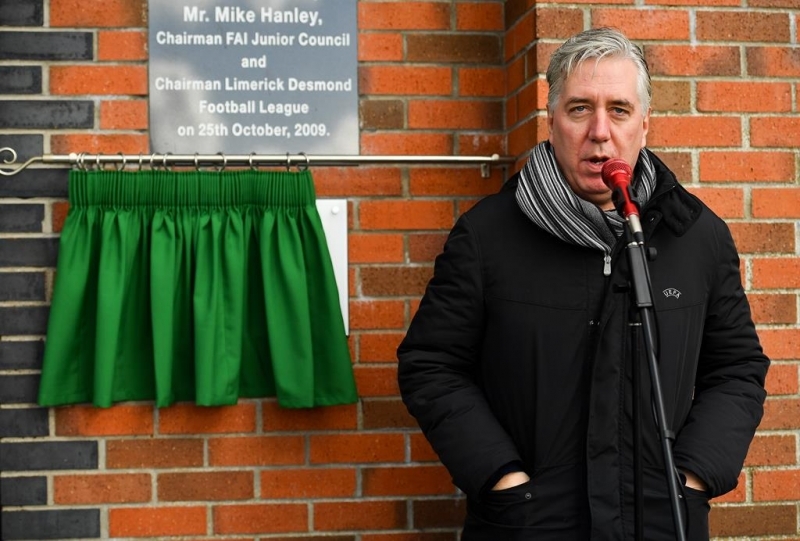 He paid special tribute to the three men who had done more than anyone else to get the club to the required standard to achieve the mark, Shane Markham, Mickey McNamara and Jason Quinn and thanked Barry McGann FAI RDO for Limerick and Vincent Foley of the FAI for their help with the project. He finished by saying that the club were committed to reaching the 1 Star standard and had no doubt that the club would achieve this goal. 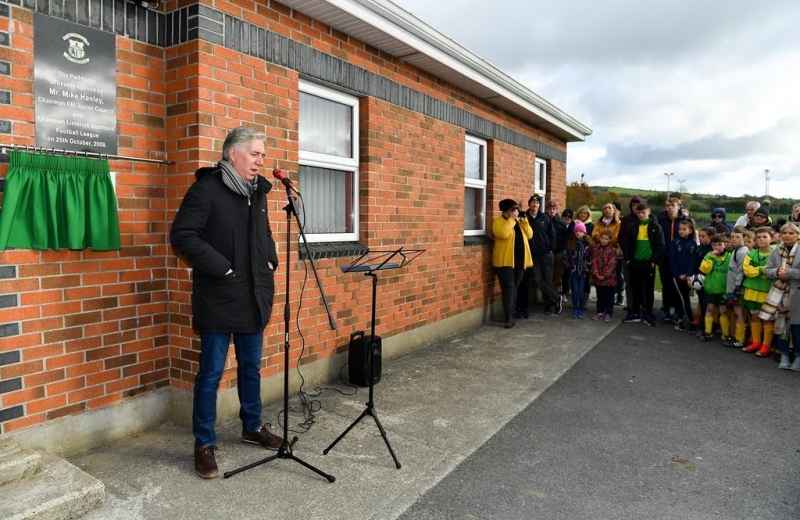 David O’Hanlon then invited Mr. Delaney to address the crowd. 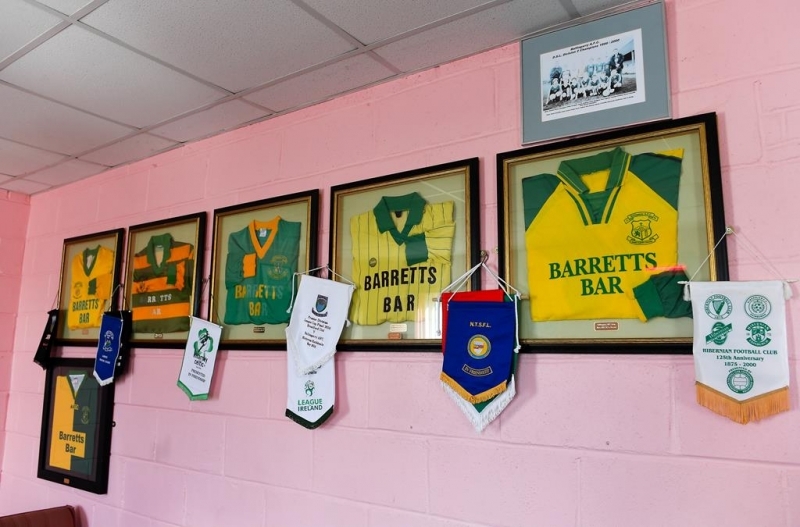 While addressing the gathering Mr. Delaney recalled the previous occasion he visited, 2009 for the clubs 25th anniversary, and said it was a pleasure to return to the club again. 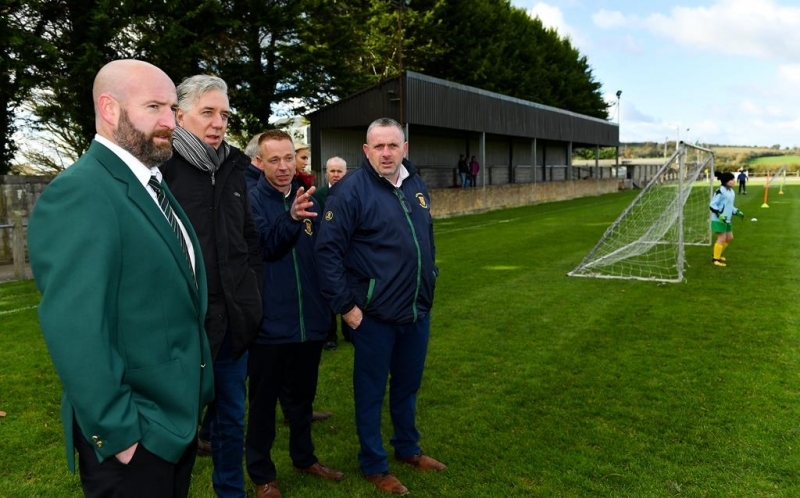 He said that the clubs progress in developing their facilities was plainly evident since his previous visit and that Ballingarry AFC had now set the bench mark that other grassroots clubs should aim for. 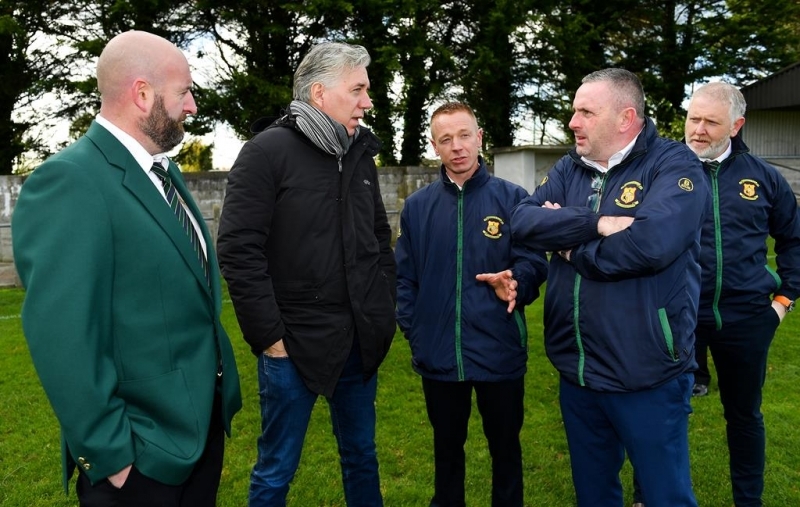 He said grassroots football is essential to the overall development of football in Ireland and Ballingarry AFC are a central part of that pathway. 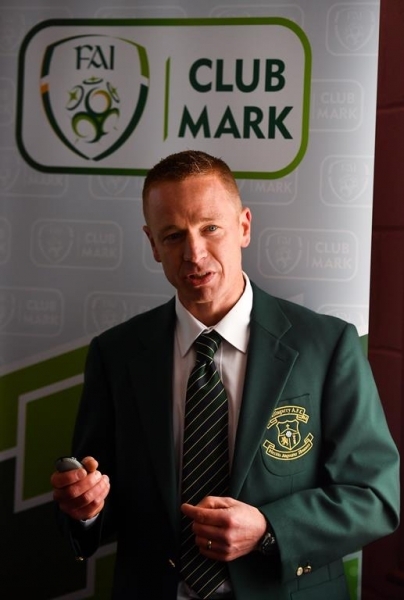 It is not just enough anymore to merely put a club in place there is now a firm standard required and the Club Mark offers guidance to this end. 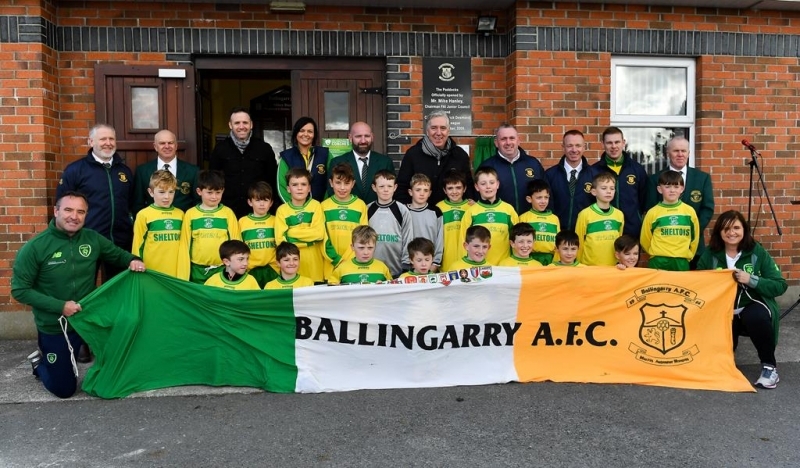 Ballingarry AFC are to be commended for their progress in this regard being the just 12th club of 13 to be awarded the Club Mark entry level in Ireland. 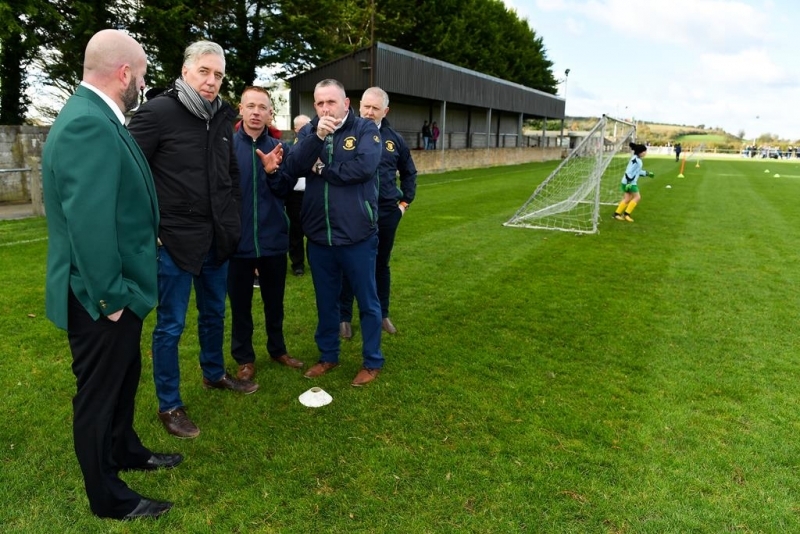 Rural Ireland itself poses obstacles when promoting football and again Ballingarry AFC are to be complimented for their professionalism in their approach in overcoming these obstacles. 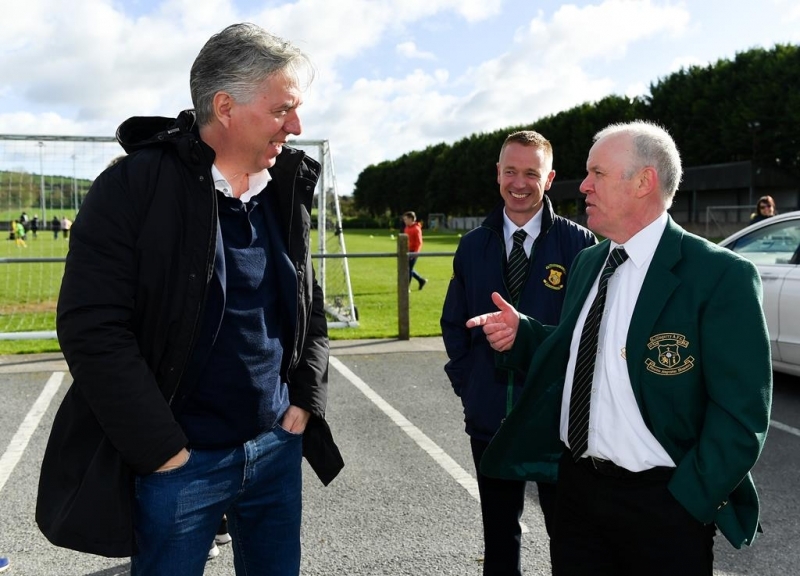 He mentioned the fact that we had a former player playing professional football at Rotherham as an endorsement of the clubs approach to promoting the game. Finally he wished the club well in every respect and he looked forward to visiting again when the club reaches the 1 Star level. 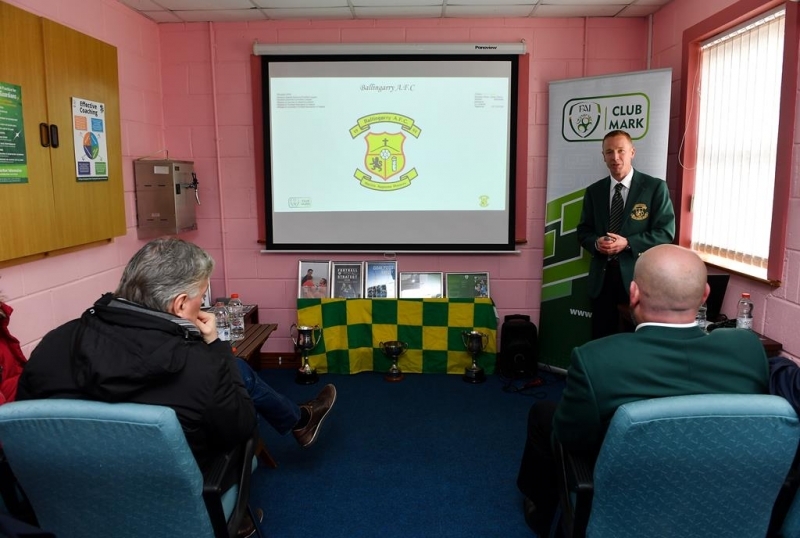 Mr. Delaney and guests were then invited to a presentation which included a slideshow by Shane Markham in the clubhouse conference room which briefly outlined our past, present and plans for the future before all went upstairs for food and refreshments. 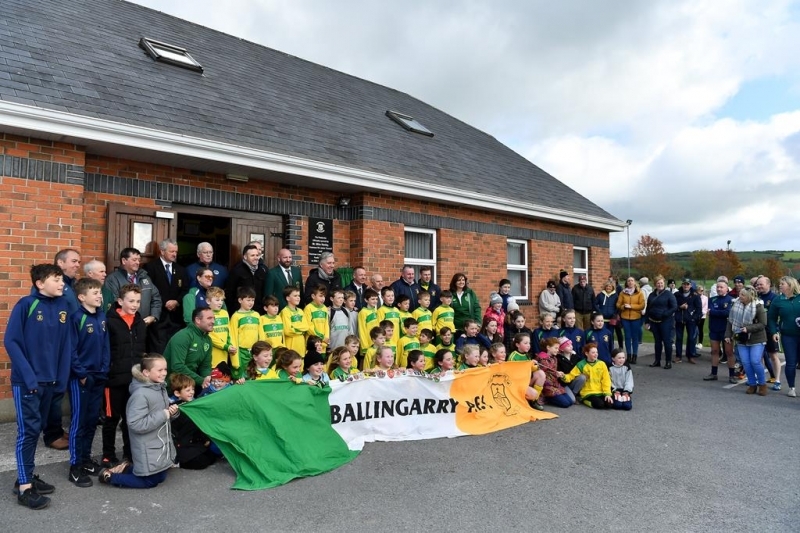 FOOTNOTE: Officially launched in April 2018, Ballingarry became just the 12th club nationally to achieve the FAI Club Mark award entry level and when considering there were 2000 clubs in the country at that moment in time well then one appreciates where Ballingarry AFC are in relation to ensuring that football is being promoted in the proper manner both on and off the field. 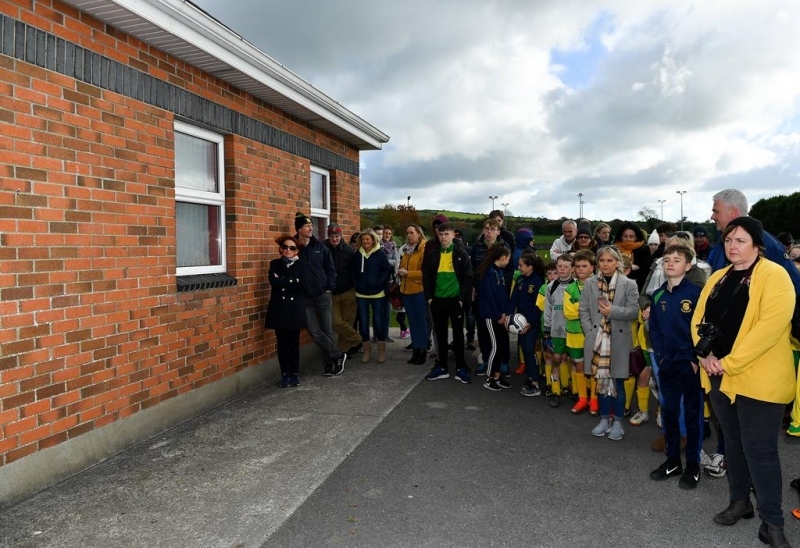 30th Oct 2018 – The Paddocks was given a shiny new plaque to display after FAI Chief Executive John Delaney visited Ballingarry AFC to present the club with their FAI Club Mark award. 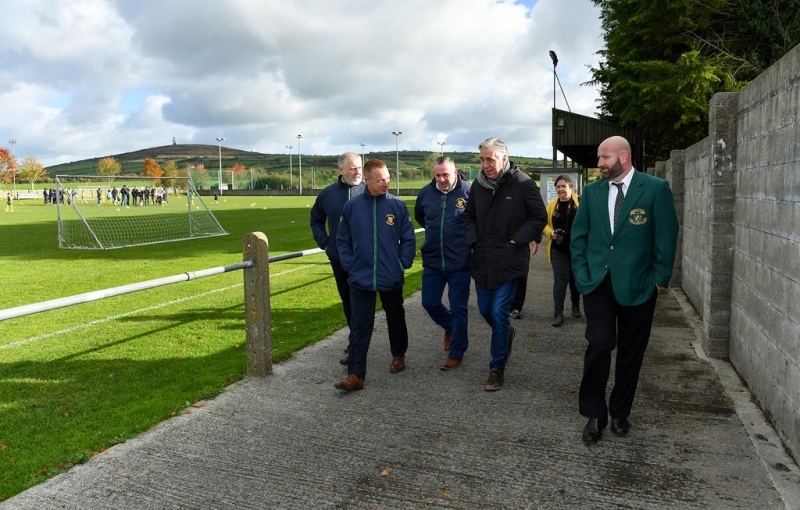 The 12th different club to achieve this distinction, Ballingarry proudly showcased their excellent facilities to an FAI Delegation – led by CEO John Delaney – as well as Joan Croke (LDLL), John Roche (Referees Society), Joe Hogan (LDFL) and Charlie Boyle (LDS/GL). 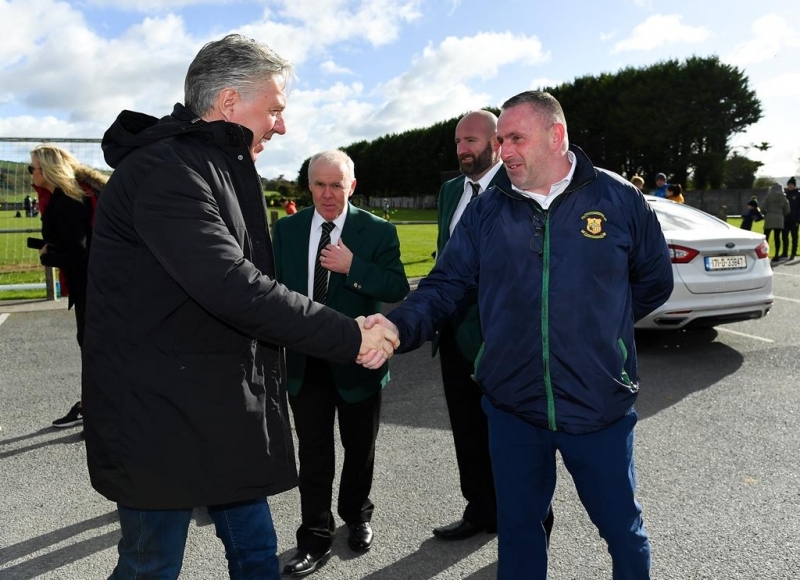 The tremendous work completed by the club was clear to see as best practice in the governance, management and administration of a football club was fully implemented. 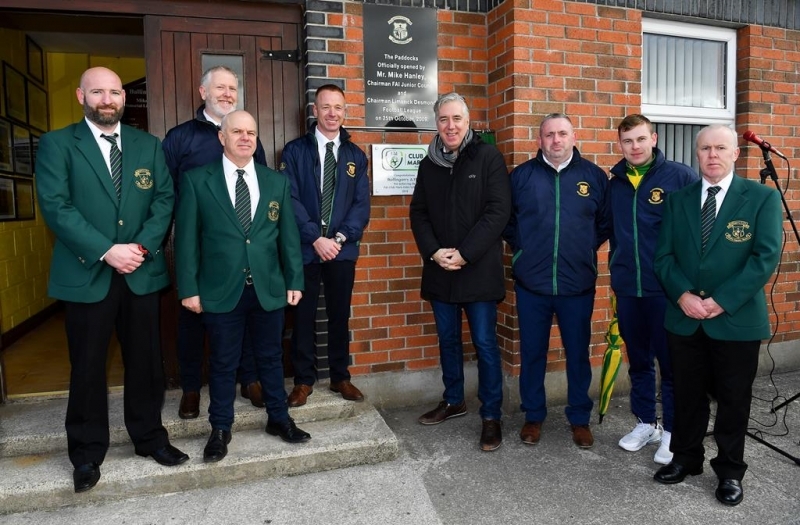 Being awarded the FAI Club Mark is recognition of the hard work put in by numerous volunteers, although the trio of Shane Markham, Mickey McNamara and Jason Quinn deserve special mention. 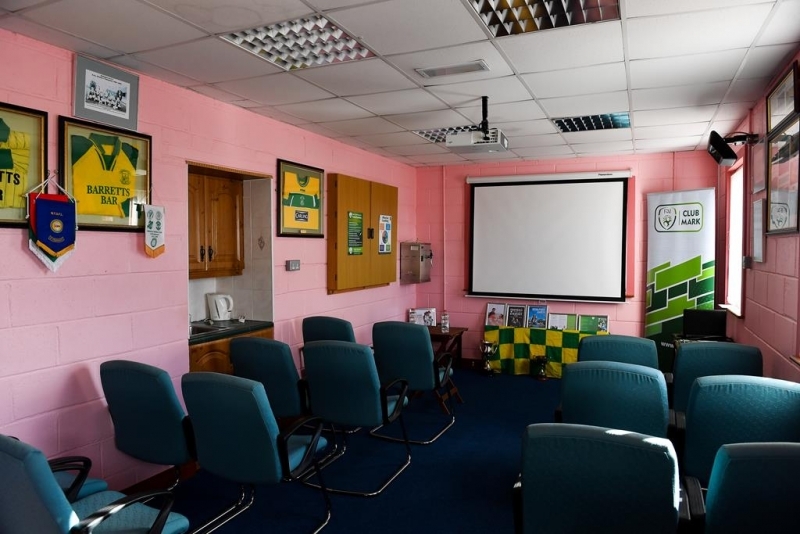 The Limerick Desmond area can be proud to have such a progressive club, run by a welcoming committee, to serve its community.